The Daily Bloom shortform blog covering breaking news events will be moving back to being hosted at our New Bloom main website over the next month. Past entries will be transferred back to the main site over the next few weeks, but in the meantime, they can still be found at the Daily Bloom subdomain at daily.newbloommag.net. 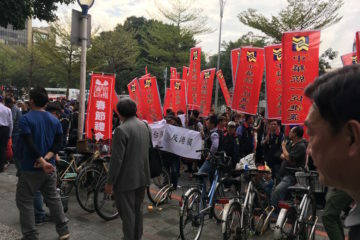 Hundreds of students gather yesterday in front of the Ministry of Education to protest high school textbook revisions in Taipei. 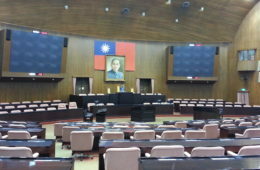 Revisions are slated to teach a version of history which maintains that Taiwan is a province of the Republic of China and maintain the claims of the Republic of China to mainland China which are part of the ROC Constitution, but more generally teach the version of history upheld by the KMT. 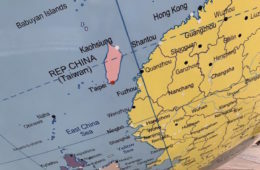 Indeed, as was mentioned during the rally itself, the textbooks claim that Mount Everest is the nation’s highest mountain rather than Taiwan’s Jade Mountain—of course, Mount Everest is hardly located in Taiwan. Textbooks will be in use for the next twelve years. 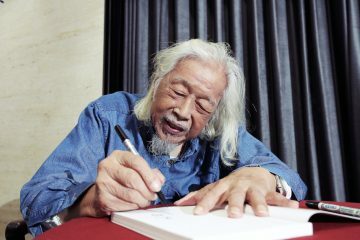 Many protestors were of high school or college age, though protests also saw the participation of many older individuals. 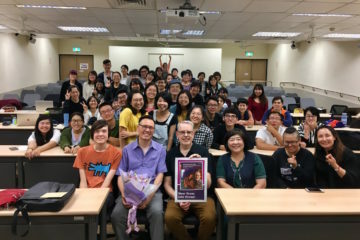 As has been noted, what has been extraordinary about protests to date about the textbook revision issue is the young age of participants, where high schoolers themselves are contesting the history which is taught to them. 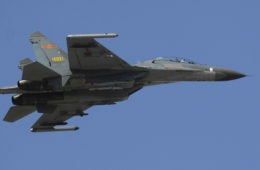 The issue has seen some attention in international media as of late because of the issue of high school textbook revisionism, usually in favor of a political conservative bias, being a global phenomenon. 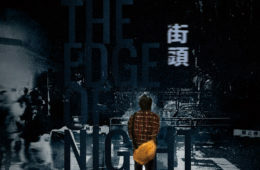 However, the participation of high schoolers themselves in protests about the textbooks they will use in protests would seem to be a phenomenon particular to Taiwan and Hong Kong, which, as it were, both face the issue of pro-China textbook revisions. Yesterday’s protest was small compared to previous protests which had taken place earlier this month on July 5th. With rain and heavy humidity, many attendees left early. 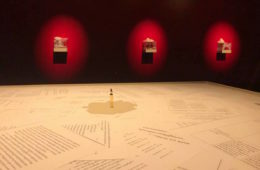 The protest itself largely consisted of speeches through a “civic discussion” in which all with viewpoints were invited to on stage and express them. 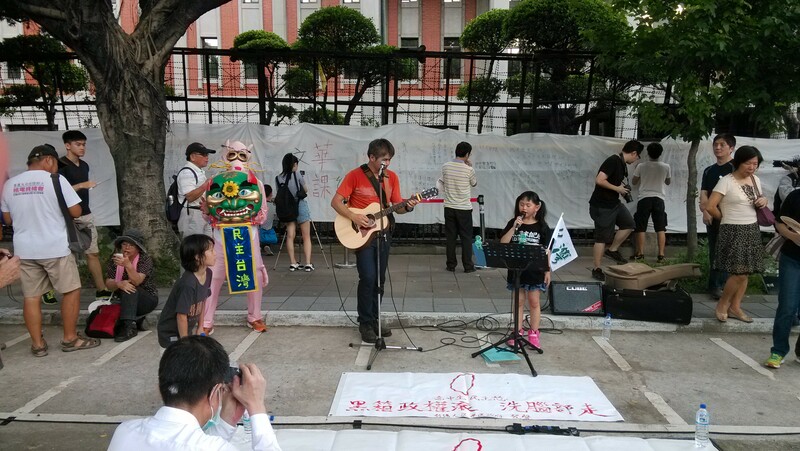 This had been a common feature of protests during the Sunflower Movement and during the antecedent anti-nuclear movement, particularly the “Five-Six Movement” protests which took place every Friday at Freedom Plaza in Taipei for close to two years. 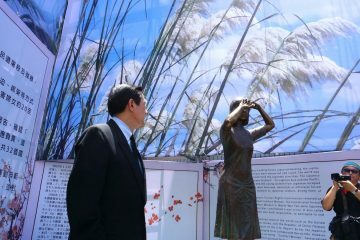 Notable speakers included Fan Yun, founder of the Social Democratic Party. 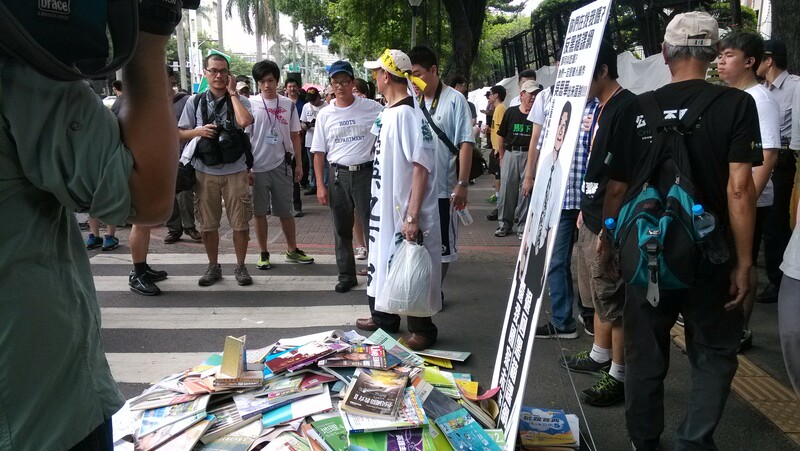 If the protest went without any incidents of violence, the only moment in which this seemed like a possibility was when a man wearing an apron that said “Ma Ying-Jeou Resign” threatened to light the pile of textbooks which had been left by high school students outside the Legislative Yuan on fire, but did not seem to have a lighter himself to do so, or was unwilling to actually take the risk of arrest himself. 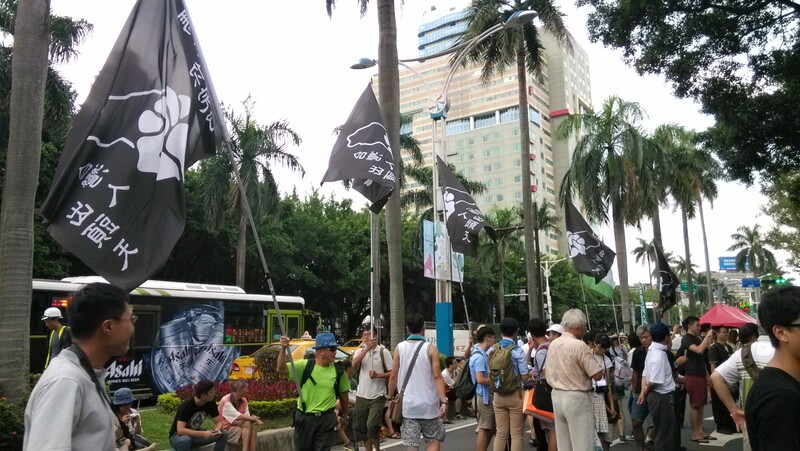 Members of the Free Taiwan Party were also out in force, the long-term encampment of the closely affiliated Alliance of Referendum for Taiwan outside of the Legislative Yuan being located nearby. 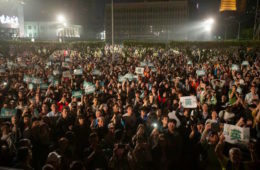 No responses from the Ministry of Education took place during the rally itself, in particular, Minister of Education Wu Se-Hwa was out of the country yesterday. However, if it is difficult to determine how many participants were also participants in the Sunflower Movement, we might note a growing split between high school students and the largely college-age Sunflower Movement activists over issues of tactics and organization, with criticisms by Sunflower Movement veterans that textbook activists were blindly repeating the tactics of the Sunflower Movement regardless of whether they had been successful tactics or not. 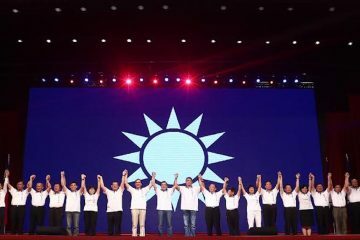 Indeed, the textbook revision issue and the planned encirclement of the Ministry of Education was often billed as a “Second Sunflower Movement”. 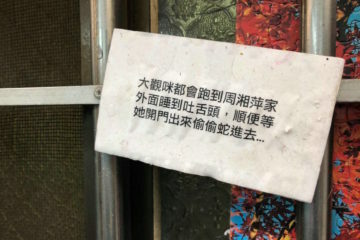 Yet for this claim to be made, suspects that a large amount was banking on that some kind of dramatic action like last year’s spontaneous invasion of the Legislative Yuan would occur. Actually, what we might also note is the means by which the KMT government was largely preparing for a siege on the scale of the Sunflower Movement. Apart from the eight foot wall of barbed wire and razor wire which surrounded the Ministry of Education and nearby buildings such as the Ministry of Foreign Affairs, a source inside the Ministry of Education confirmed that the building was sealed off—and that employees entered through underground tunnels, where there is apparently a network of tunnels around the government buildings around Shandao Temple area. Maps inside the building itself were removed in order that potential occupiers would not be able navigate the building once inside, although one suspects this would not have been very useful as a measure had any occupation attempts took place. 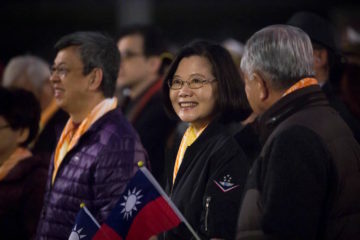 Perhaps we may find the siege preparation by the government to be symbolic of how the KMT is at war with Taiwanese youth over what is Taiwan’s past is—and in that way, also what its future will be. Protests have not ended, with another rally planned for later today, plans to continue the encirclement of the Ministry of Education for the next month, plans to hold further “civic discussions” outside the Ministry of Education, and calls for future actions. 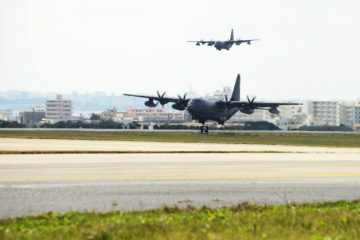 It remains to be seen whether future actions will draw out more participants, where yesterday’s protest were noticeably smaller. 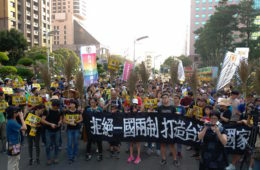 It remains to be seen whether there is some measure by which textbook revisions can be withdrawn, though as with the Sunflower Movement, mass protest can lead to the government backing down on policy changes it previously said were too late to change. 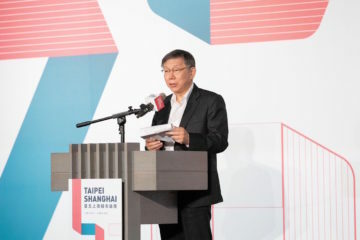 But in the absence of means attract more participants or escalate actions, the issue may ultimately end with a defeat on the part of Taiwanese civil society. 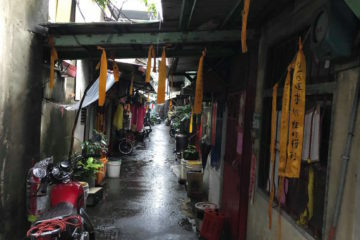 Biography: Brian Hioe (丘琦欣) is an M.A. student at Columbia University, a freelance writer on politics and social activism, and an occasional translator. 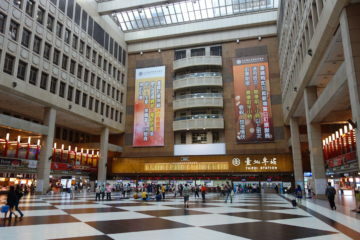 He is formerly a resident of Taipei, Taiwan. 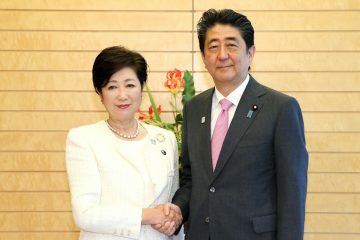 A Counter-Example For Taiwan In The Conservative Resurgence In Japan? 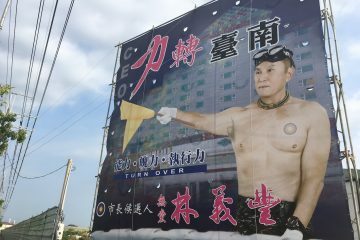 What Political Lessons Can We Learn From Taiwan’s Strangest Mayoral Candidate?